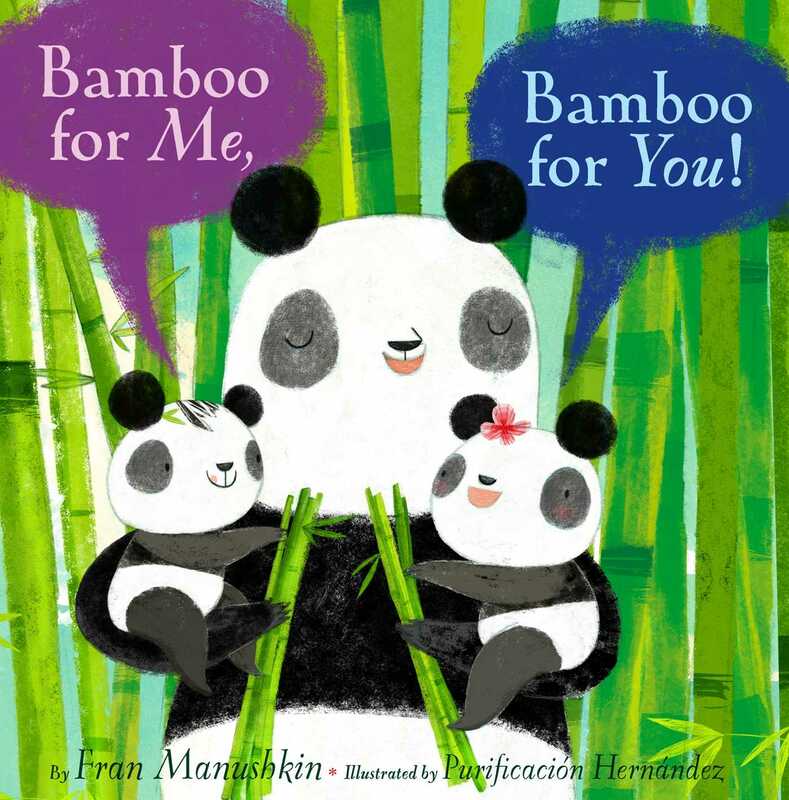 Panda twins, Miranda and Amanda, frolic, fight, and fuss over their favorite treat—bamboo—in this playful, vibrant picture book. Panda twins Miranda and Amanda love bamboo so much it’s the only treat they want to eat! But in between bamboo breakfast, bamboo lunch, and bamboo dinner, the sisters play hide and seek; watch the other silly zoo animals; argue and make up; and compete for their mother's love, before they turn in for the night—dreaming, of course, of bamboo! Bamboo belongs on any list of fun words to say, so why not build a book around it? Manushkin’s rhyming, all-dialogue story introduces twins Amanda and Miranda, roly-poly pandas who are always ready to eat bamboo with their wise mother: “ ‘It’s time for lunch.’ ‘What shall we do?’ ‘How about some sweet bamboo?’ ” Indeed, when informed by Mama that other zoo animals prefer, say, apples or meat, the twins are downright disdainful: “ ‘Ew! Ew!’ ‘Pewwww!’ ‘We would rather chew bamboo.’ ” In between meals, the twins squabble (“ ‘You made me fall!’ ‘Not true! Not true!’ ”) but the rift never lasts for long—they’re sisters, after all, and they’ll always have bamboo. Newcomer Hernández successfully keeps all of the “oo”-accented whimsy from descending into tweeness in subtly textured digital illustrations, rendered in primary colors. Her flattened perspectives and naive characterizations seem to nod to Chinese folk art, and colorful dialogue balloons add a dash of comics-style immediacy. A rowdy celebration of family and food. A good storytime read-aloud; preschoolers will enjoy the twins’ adventures through multiple readings. Book Cover Image (jpg): Bamboo for Me, Bamboo for You!